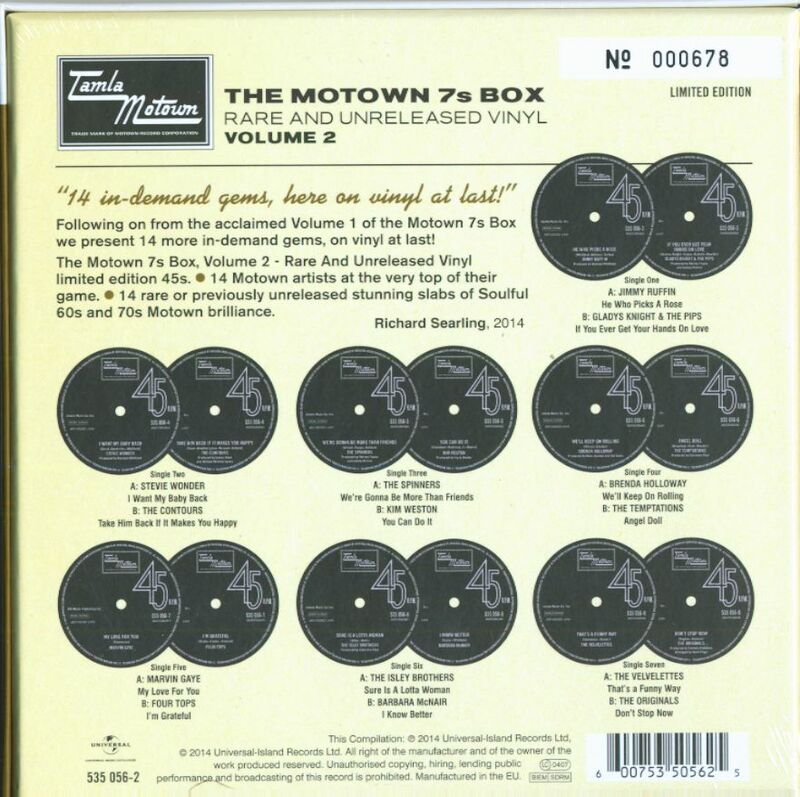 (2014/Universal) 14 tracks on seven 45rpm records. Rare and unreleased Motown favourites, recorded for the Tamla - Motown labels. Limited and numbered edition includes the seven 45rpm records plus a download voucher with which you can get the MP3 versions of the songs! 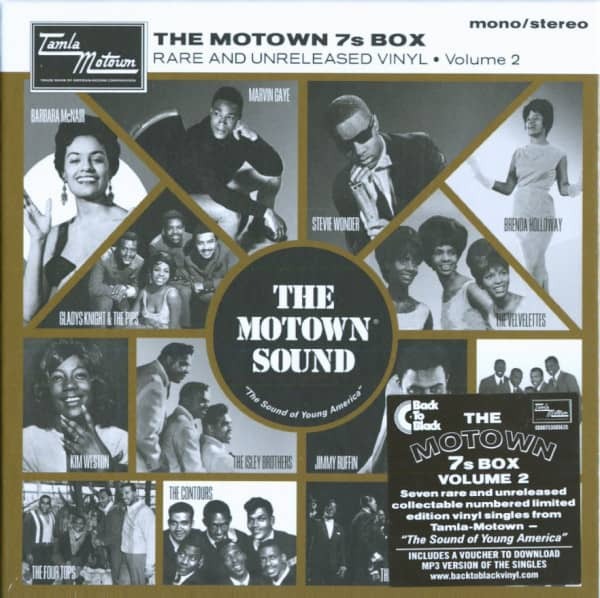 Customer evaluation for "The Motown 7s Box, Vol.2 (7x45rpm Box Set, 7inch, SC)"